Yahoo continues to battle falling advertising figures as revenues from Mavens, its growing mobile, video, native and social businesses, are yet to offset drops in display ads. In Yahoo’s first quarter report yesterday, the 20 year old internet company posted a seven per cent drop in display revenue to $381 million. The situation was exacerbated by a three per cent fall in search revenues (once third party commissions / fees were subtracted) the first such fall at Yahoo since chief executive Marissa Mayer took control of the company almost three ago. 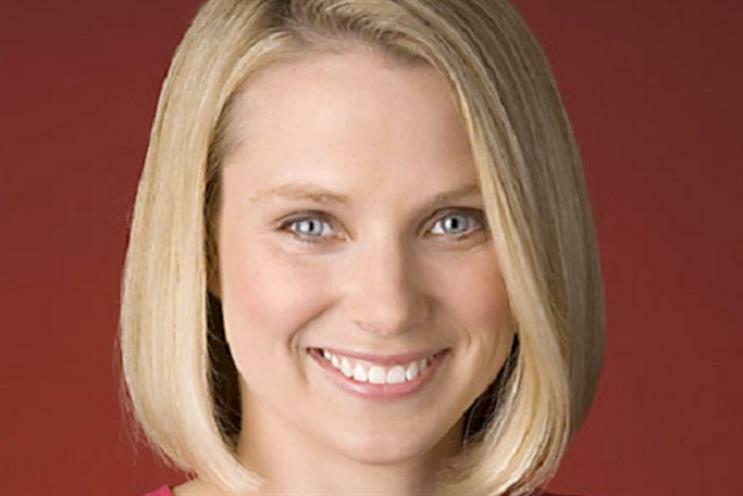 Despite the falls, Mayer said she has been encouraged by Yahoo’s ongoing transformation. Key to her turnaround plans are Yahoo’s high-growth businesses, which Mayer has called Mavens – referring to their mobile, video, native and social remits. The portfolio includes mobile video operations Flurry and BrightRoll, and native marketplace Yahoo Gemini, along with blogging site Tumblr. High-profile brands to advertise with Yahoo in the period include Old Navy, Honda and the City of Las Vegas. The Mavens' revenue now makes up about one-third of the company’s total, growing 58 per cent to $363 million in the first quarter. The platforms also now represent 33 percent of traffic-driven revenue, up from 22 per cent in the first quarter of 2014. All other Yahoo revenue declined 7 per cent in the first quarter of 2015 to $744 million. Talking to Campaign, Dawn Airey, senior vice president of Europe, Yahoo, said: "Good old fashioned display ads are not as profitable as they once were. So our Mavens are important. They are not quite offsetting the falls elsewhere, but we’re working towards this year being a turning point." She added: "Yahoo’s Mavens are a smorgasbord in terms of really sophisticated communications products. From nowhere two years ago, our mobile, video, native and social businesses took more than $1 billion in 2014." Yahoo also confirmed it has brokered a new search deal with Microsoft, ending the 100 per cent exclusive partnership held with Bing since 2009 to "at least 51 per cent of its desktop search traffic". The move increases Yahoo’s flexibility around search across its platforms, with the potential to use its own search results or form new partnerships with the likes of Google and AOL. Airey said: "Search is a core part of our DNA. The renewed partnership with Microsoft gives us greater flexibility and enhances competitiveness by allowing us to iterate and experiment more with our user experience and monetisation. "We are pleased with the arrangement, which improves the search experience for users, creates value for advertisers and establishes ongoing stability for partners." In the first quarter, Yahoo also reported net employment fell by 1,100 jobs, taking the total job losses to nearly 2,000 – around 20 per cent of staff since Mayer took control.